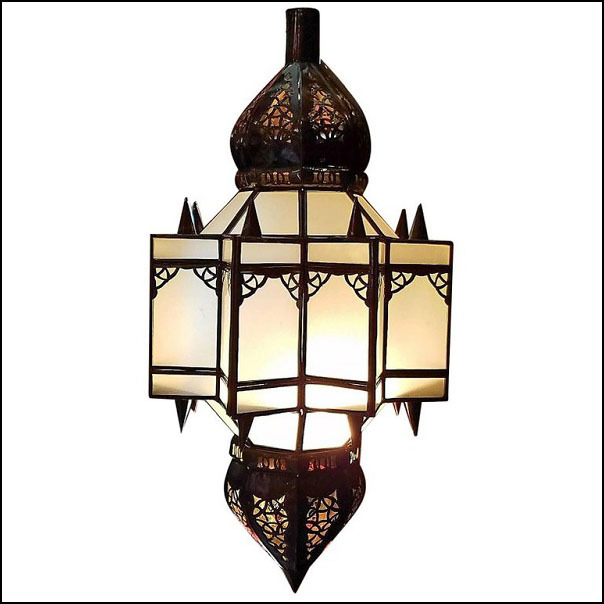 Handmade Moroccan glass lantern with frosty white stain glass and metal rustic frame, measuring around 23? in height and 11? in width. Very elegant, with lots of piercing in both top and bottom domes. Great add-on to any décor. A second one is available if you need a pair. Also available in all blue, all amber, and all red stained glass. Please contact us if you have any questions or for more pictures. Other styles and shapes available in stock.